[PDF] Enterprise Cloud Computing: Technology, Architecture, Applications | Free eBooks Download - EBOOKEE! Description: Cloud computing promises to revolutionize IT and business by making computing available as a utility over the internet. This book is intended primarily for practising software architects who need to assess the impact of such a transformation. It explains the evolution of the internet into a cloud computing platform, describes emerging development paradigms and technologies, and discusses how these will change the way enterprise applications should be architected for cloud deployment. 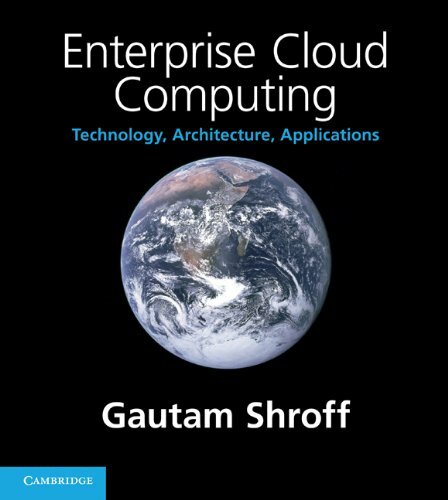 Gautam Shroff provides a technical description of cloud computing technologies, covering cloud infrastructure and platform services, programming paradigms such as MapReduce, as well as 'do-it-yourself' hosted development tools. He also describes emerging technologies critical to cloud computing. The book also covers the fundamentals of enterprise computing, including a technical introduction to enterprise architecture, so it will interest programmers aspiring to become software architects and serve as a reference for a graduate-level course in software architecture or software engineering. No comments for "[PDF] Enterprise Cloud Computing: Technology, Architecture, Applications".